Today I woke up to the sound of a baby possum in my escape window ! 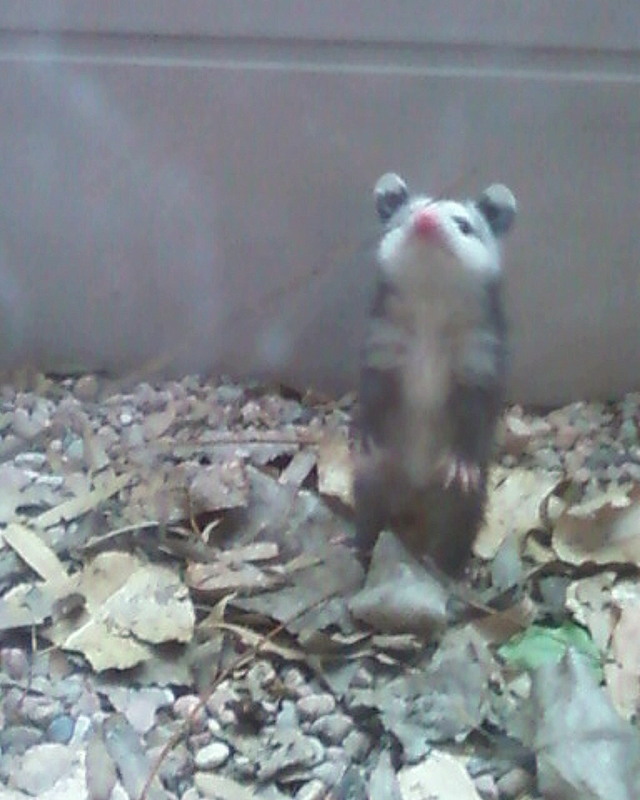 Yes a possum. Not a cat...not a dog... a possum. 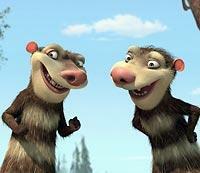 You know like the ones from Ice Age? Yeah that one. I heard little scratches on my window at 7 A.M. and didn't check to see what it was until 8 A.M. I open up my curtains and there it was scratching on the window like LET ME OUT! It was so cute and tiny. I couldn't help but say AWWWWW! I had to let it hang on a rake to get it out. I hope it finds its mommy. 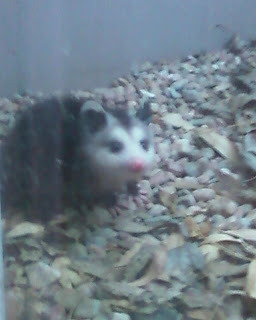 So far I've had a cat, a baby bird, and now a possum in my window!